No room for another dog? Looking for the Pyrfect gift for a pyrlover who can’t add another dog right now? Travel too much to have a dog? “Virtual” Adoption is a way to have your own Great Pyrenees without the daily care taking. Currently we have 23 Great Pyrenees and Great Pyrenees mixes at our boarding kennel waiting for homes. The monthly boarding expenses for each dog is $5 per day which includes having kennel staff clean their kennels, let them outside, interact with them and feed them twice per day. (Chewy donates food for the dogs) This cost does not include monthly heartworm and flea and tick preventatives, grooming, vaccines, and medical care. The average cost per month to house a dog before being adopted or fostered averages about $200 – $250 per month. $200 x 12 months = $2400 per dog, whether that kennel space is occupied by the same dog or another. The adoption fee is currently $300 per dog. “Virtual” Adoption will allow you to provide funding for a dog in need, and we will send you monthly updates on how your adopted dog is doing; you will have visitation rights, if you are in the area (Indianapolis, IN) and you will receive an adoption certificate. We are asking for $25 per month for a 12 month period for a “virtual” dog adoption. To “Virtually” Adopt a pyr in need, visit our website, www.igpr.org, to select your dog to sponsor, send us an e-mail at info@igpr.org with the name of the dog in the subject line and add virtual adoption after their name. If this is a gift, let us know who to make the adoption certificate to. You can make your “adoption” payments via www.paypal.org, our e-mail is info@igpr.org. The sponsored dogs are available for adoption, and we will ask you who you would like to “adopt” next if your pyr gets a forever home. Looking forward to hearing from you and getting all the dogs in need either actually or virtually adopted soon! Do you shop at Amazon? Help IGPR when you shop! Calling all “Amazoners”!!! Next time you are shopping on Amazon – log in under Amazon Smile, and select Indy Great Pyrenees Rescue from the drop down list of organizations to choose from. We get a donation from Amazon from any purchase you make. It costs you nothing, but we reap the benefit of your shopping! On your first visit to AmazonSmile (smile.amazon.com), you need to select a charitable organization to receive donations, (Indy Great Pyrenees Rescue!!!) from eligible purchases before you begin shopping. We will remember your selection, and then every eligible purchase you make at smile.amazon.com will result in a donation. Kroger Shopper? You can help IGPR raise money for pyrs in need! Do you shop at Kroger? 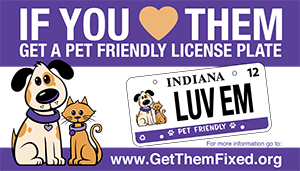 If so, Indy Great Pyrenees Rescue is now registered as a not for profit participant that you can designate with your Kroger card! It costs you nothing, and IGPR receives quarterly donations based on your spending at Kroger with your grocery shopping! Be sure to have your Kroger Plus card handy and register your card with our organization after you sign up. If you don’t have a Kroger card, and shop there – they are available at the customer service desk at any Kroger. Many of you may be new online customers, so you must click on SIGN UP TODAY in the ‘New Customer?’ box. Enter 57538 or Indy Great Pyrenees Rescue or select use from the drop down list and click on confirm. To verify you are enrolled correctly, you will see IGPR’s name on the right side of your information page. When shopping, you must swipe their registered Kroger Plus card or use the phone number that is related to their registered Kroger Plus card when shopping for each purchase to count. REMEMBER, purchases will not count for IGPR until after you register your card(s). We need your help, and this is a way to help the dogs in need without costing you anything. Please help the pyrs in need by taking the time to register your Kroger card. Thank you!